We also provide mobile service for you. We can speak English, Turkish and German. Contact us today! +90 544 430 12 06. Using the best materials available, stainless steel, acrylic and composite, we offer a stunning range of hatches. There are three lines with different design and application. The hatch frames have no welded seams to maximise the strength and integrity when confronted with the worst elements at sea. All hatches are CE approved for Area 2a. Delivery time for our hatches is approximately 4 weeks. For detailed information, please click on the specific Hatch Line. 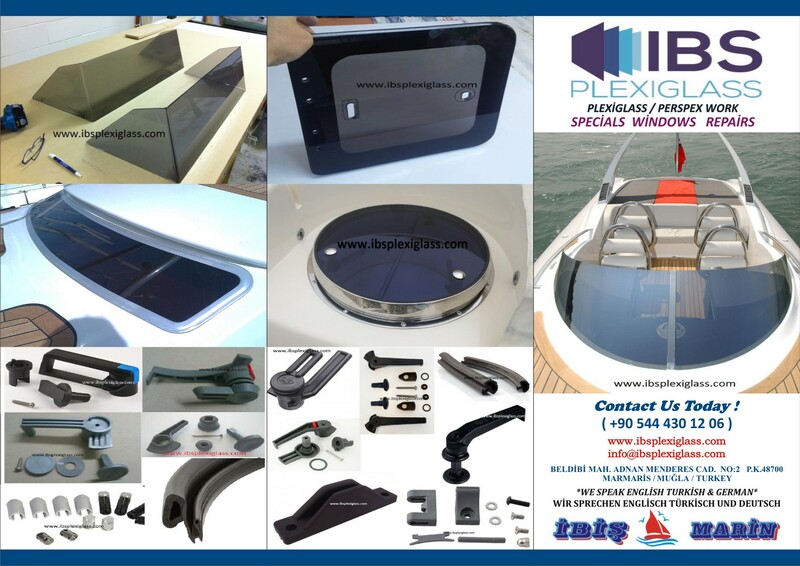 The Exclusive Flush Hatch Line is unique since it is the only hatch on the market that is completely flushed on the deck. Our flush hatch gives the deck a smooth and streamlined impression, which looks very exclusive. One unique aspect of this hatch is that the drainage hole is covered by a screen to prevent dirt from clogging up the drainage pipe. The Exclusive Flush Hatch comes in two versions, one that suits teek-wooded decks and another for glass reinforced polyester decks. The different sizes are 200x300mm, 500x500mm, 600x600mm and a round hatch with the diameter 500mm. Additionally, there are different alternatives for innerframes, gas-springs and opening mechanisms. These factors offer the customer the opportunity to choose a hatch that matches the boat and perfectly. Rutgerson Exclusive Flush Hatch Line is CE approved in accordance with directive 94/25CE, ENISO 122116. Rutgerson manufactures portlights for both motor and sailing boats. The flexible construction means that the portlights fit hulls from 8 mm (0.32″) to 66 mm (2.6″) thick. 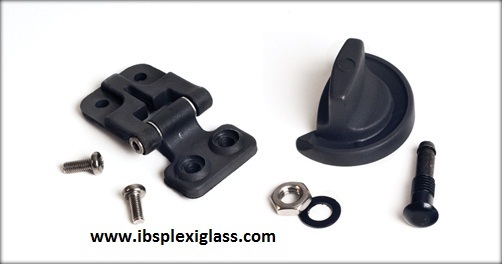 silicone rubber seals of the very highest quality, sturdy and resilient tinted acrylic glass. 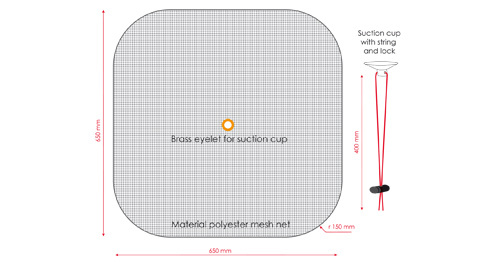 This is why Rutgerson put safety first during the process of manufacturing portlights. All our portlights are approved for Area I, Category A. Area I is for assembling in the hull and the portlight must be able to withstand a water-jet with a pressure of at least 200KPa. Delivery time for our portlights is approximately 4 weeks. 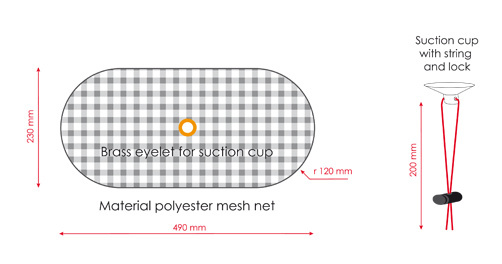 The main advantage with the new solution is that the net is bigger than the portlights and covers the entire product. The mosquito net has the dimensions 490 x 230mm and fits all our portlights (except the long 700mm portlight). Of course these products fit other brand as well. Every mosquito net is deliverd in an individual clamshell bag for easy storage. 1. Open the portlight glass. 2. Hold on to the suction cup. 3. Place the mosquito net on the outside of the portlight. 4. Close the portlight a little and fasten the suction cup. 5. Open the portlight glass so that the mosquito net is tensioned.